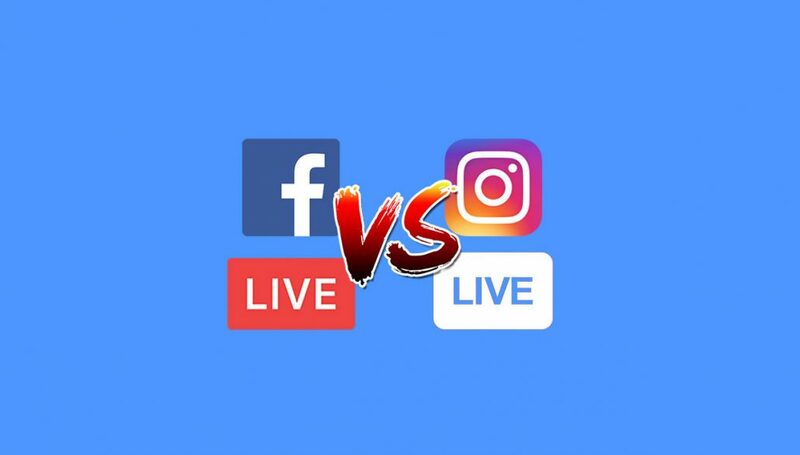 Instagram Live VS Facebook Live – Which one is better for my business? This week, Instagram released Instagram Live to its freshly new stories bar which makes us geek out! It appears that so many similar features are being created on each social platform. As a business owner, you may find yourself confused and overwhelmed. Where do you spend the most time? How do you use this feature? Should I use Facebook Live or Instagram Live? Within this article, we’d like to review exactly how you use the new feature, the ramifications for your social strategy, and which platform will work best. But, first, let us show you how Instagram Live works. HOW DO YOU USE INSTAGRAM LIVE? Click on the little camera to access Instagram LIVE. 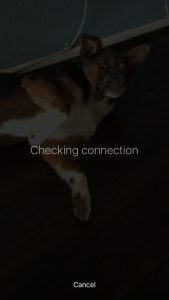 Once you’re in stories, and scroll to the “Live” tab next to “Normal”. Press the “Start Live Video” button. Yes, that’s my dog. Yes, I know, she’s adorable. Thanks. Make sure you have either a superb WiFi or 4G connection before you begin broadcasting. Your followers will be notified that you are live. 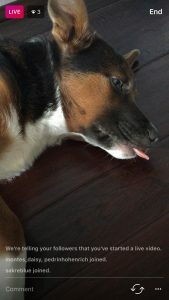 I apologize for the awkward dog tongue. 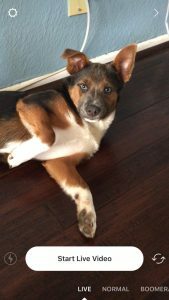 I promise, my pup is classy. This is what your live broadcast looks from the perspective of your followers. Once you’ve ended your broadcast, the following screen will appear. For those professionals in charge of data and analytics, this is where you can manually write down the number of people who followed your broadcast. INSTAGRAM LIVE OR FACEBOOK LIVE? WHICH ONE IS BETTER FOR MY BUSINESS? Hands down, Facebook Live is the best streaming tool between these two platforms for your business. Why, you ask? With Facebook Live, your broadcast turns into regular video post on your page after the broadcast is complete and your fans can continue to engage with the video after your session, meaning more views and more impressions (eyeballs). Additionally, your business has access to these analytics within Facebook Insights which means you can understand the ROI for your campaign efforts. 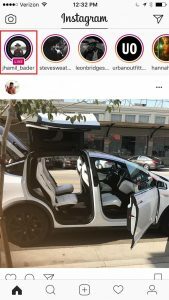 Unlike Facebook, Instagram Live is only in the moment and immediately disappears after you end your session. 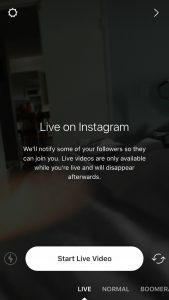 This means that your Instagram Live video will not to continue to generate additional views or impressions after your session. If your fans are not online during your event, they will miss your video and you will not be able to reach them with your messaging. In addition, your views and impressions are not tracked within Instagram’s new analytic tool. 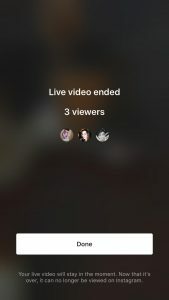 However, if you do decide to leverage Instagram Live, you will need to manually write down the number of viewers after your livestream has ended. Well, that is a great question! Even though Periscope came before Instagram Live and Facebook Live, I wanted to keep Periscope out of this conversation. Mainly because Periscope is not built into the Twitter platform. There are many variables that would have to be added to a situation in which you would need to adequately compare all three platforms. We will need to save this conversation for a later date. Until now, we hope you found this information helpful and you can apply some of our knowledge to your business. http://www.keensocial.com/wp-content/uploads/2016/12/instagram-live-vs-facebook-live.jpg 699 1229 K3en73 http://www.keensocial.com/wp-content/uploads/2016/09/Keen_Logo-300x96.png K3en732016-12-16 19:07:042016-12-18 19:57:34Instagram Live VS Facebook Live - Which one is better for my business? What does the Cambridge Analytica Scandal Mean for You and Your Business? The New Facebook Algorithm 2018: What Does This Mean For My Business? 323-601-6116 | © Copyright 2016 - Keen Social LLC. All rights reserved. 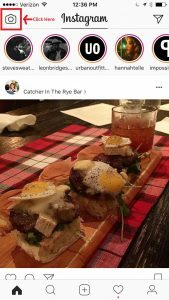 Instagram Stories & Snapchat Stories What is Social Advertising?